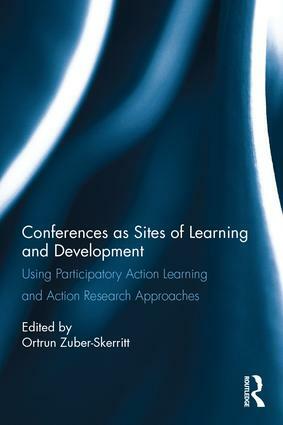 This book applies and expands upon the concept of the ‘learning conference’ as a site of learning and development, using the paradigm and methodologies of participatory action learning and action research (PALAR). Making a significant contribution to the field, this is the first book to outline the characteristics and development of a learning conference culture in theory and practice. It demonstrates how application of the learning conference concept can maximise learning opportunities and successful research outcomes to bring about sustainable professional, organizational and community development. An international team of contributors offer their diverse perspectives on conferences and the practical and theoretical work conducted at these events. They contextualize these reflections in the light of global developments in this increasingly troubled twenty-first century marked by greater complexity through technology, globalization, neo-liberalism, climate change and other sources of practical and ideological change, all of which enhance the conceptual and practical utility of the learning conference. Ortrun Zuber-Skerritt is Director of OZI (Ortrun Zuber International P/L) specializing in action learning and action research, leadership development programs, and postgraduate research training and supervision, including qualitative research methods. She is also Adjunct Professor at Griffith University (Brisbane, Australia); Extraordinary Professor at North-West University (Potchefstroom, South Africa); and Regional President Australasia, Global University for Lifelong Learning (GULL).